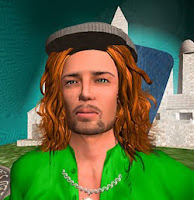 Ok so I am an inworldz refugee and am currently in the process of obtaining my oar file(s). In inworldz I had 4 regions, I only want to collect the objects I had out (texture packs, animations etc) I have tried to search the forums to no avail. One I have the OAR file(s) what do I do with it then? How do I get it into kitely for sorting? Start at https://www.kitely.com/myworlds, which lists the worlds you have on Kitely. Find the world you want to load the OAR into. Then, on the right, under "Actions", click Manage. In the blue "Manage World" dialog box that opens, click the Files tab. Click the smaller Select File button beside "Upload OAR". Use the standard Mac Finder or Windows Explorer window that opens to navigate to the OAR file you want to use, then click Open. Finally, back on the "Manage World" box, click Replace World. Is there a way to do it without owning my own world at the moment or no? You need to have your own Kitely world in order to upload an OAR file into it. Remember that Kitely charges are pro-rata, so if you get a new Standard World halfway through the month, the cost will be around $10 and cover the rest of the month. just wanted to say Welcome to Kitely Natalie!